Chairman John Wilson says the lower forecast Farmgate Milk Price reflects a prudent approach to ongoing volatility in the global dairy market. The GlobalDairyTrade price for Whole Milk Powder is a big influencer of the Farmgate Milk Price and it has declined by almost 10 percent since 1 August 2017. 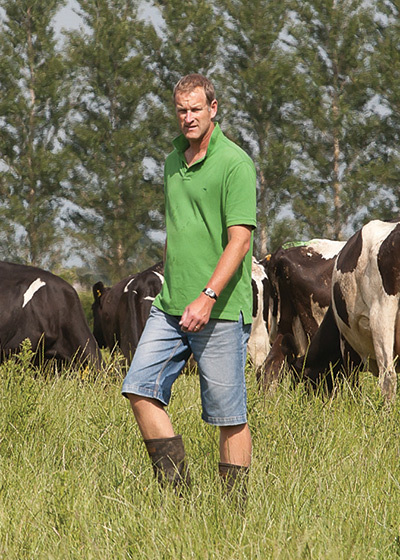 “While the result of the arbitration with Danone has impacted our earnings guidance for the season, it has no influence on our forecast Farmgate Milk Price,” says Mr Wilson. “What is driving this forecast is that despite demand for dairy remaining strong, particularly in China, other parts of Asia and Latin America, we are seeing strong production out of Europe and continued high levels of EU intervention stockpiles of Skim Milk Powder. “This downward pressure on global prices is being partly offset by the lower NZ-US dollar exchange rate,” says Mr Wilson. “Our strong financial position, customer order book at this point in the year, and confidence in demand means that the Board is able to increase the payments made in January by 10 cents per kgMS and will hold the Advance Rate through to the payments in May. “In effect, our farmers will receive equal or higher payments for their milk over this period than were scheduled under the previous $6.75 milk price. Fonterra has also updated its full season New Zealand milk collection forecast due to ongoing challenging weather conditions. The Co-operative has reduced its forecast by 1 per cent to 1,525 million kgMS – the same volume as last season. Given drops in GlobalDairyTrade price index in successive auctions, relieved by a very small lift this week, the drop in the forecast payout isn’t surprising. It’s not the early Christmas present dairy farmers, sharemilkers, their staff and those who service and supply them were wanting, but it wasn’t unexpected and it’s still a reasonable return. Of more concern is the dry weather. A wet spring enable a late start to irrigation in North Otago but everyone’s watering as much as they can now. At least here we have reliable water supplies. Farmers in other areas where there is no irrigation, or where they face restrictions in dry weather, will be hoping forecasts for continuing hot weather and little or no rain are wrong.